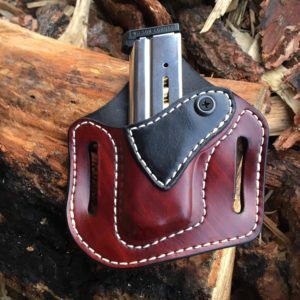 single magazine carrier for single stack .45, Slide on. 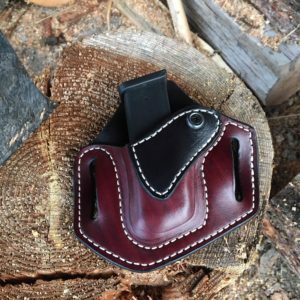 Handmade Magazine carrier for a single stack .45acp, 10mm, or like sized magazine. Partial body-shield, adjustable retention. 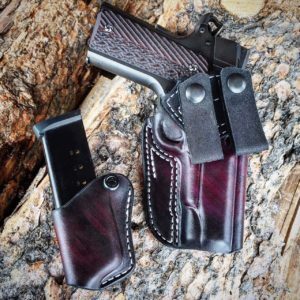 pooled mahogany main, black RP, white thread. 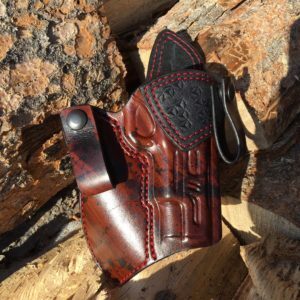 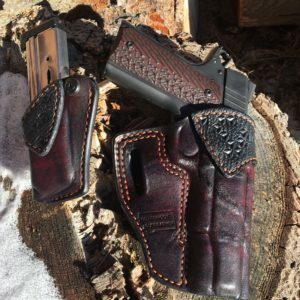 (c) 2018, 2019 Bitterroot Gunleather.